A true Type A personality, I tend to get pretty disappointed when a recipe doesn’t turn out. But sometimes it leads to something even better. Case in point: the gizzadas (Jamaican chewy coconut tartlettes) I attempted were a total failure. The filling was too watery and the pinched dough of the crust didn’t hold up. The good part is that I only tested half a batch, leaving a good amount of frozen young coconut left over and so back to the drawing board, i.e., my stack of Jamaican cookbooks, I went. I kept coming back to a super simple drink recipe… coconut water with rum. The cookbook author kept referring to it as the “man’s drink” of Jamaica. Well fellas, thanks for the idea but we ladies like to do it up a little bit. And so this simple pairing of rum and coconut morphed into a gorgeous, pure and dazzling white frozen drink. Sweetened with condensed milk, the coconut shreds and ice give the drink body while the rum gives it just a little kick. I’m seriously wondering how these things aren’t a staple at tropical beachside bars around the world. The only thing in its way? The lack of snazzy name. Perhaps the Coconut Rum Blizzard? Or the Whiteout? 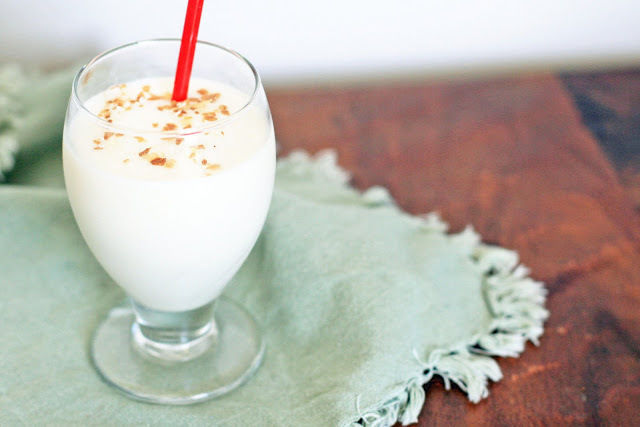 In a blender, combine the coconut, sweetened condensed milk, rum and ice and blend until smooth. Top with toasted coconut, if desired. 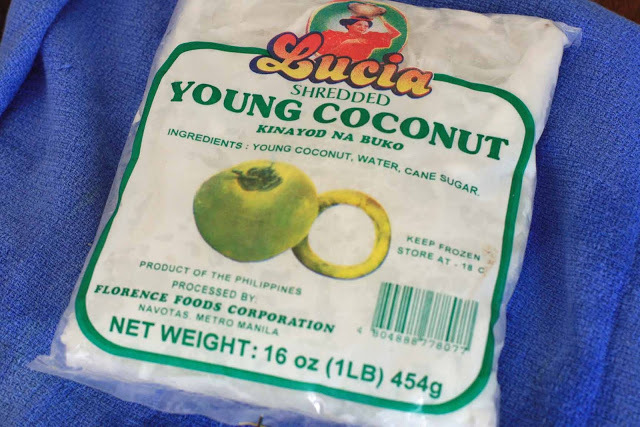 Note: frozen young coconut can be found at many Asian grocery stores.